Last Day for Souper Diet Souper Sale! | We know you have made a firm resolution to eat light and right, and we are right with you! 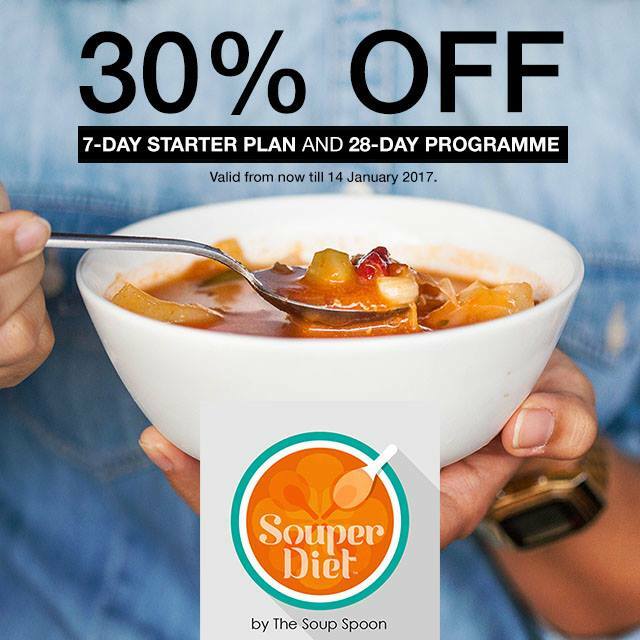 Today's the last day to snag a 30% discount off our Souper Diet 7-Day Starter Plan or 28-Day Programme. Order now at http://goo.gl/XgUl0W! Next: [Singtel] Exclusive for Singtel Customers! Indulge this month with 1-for-1 Ribeye Steak (worth $23.80) at Jack’s Place!